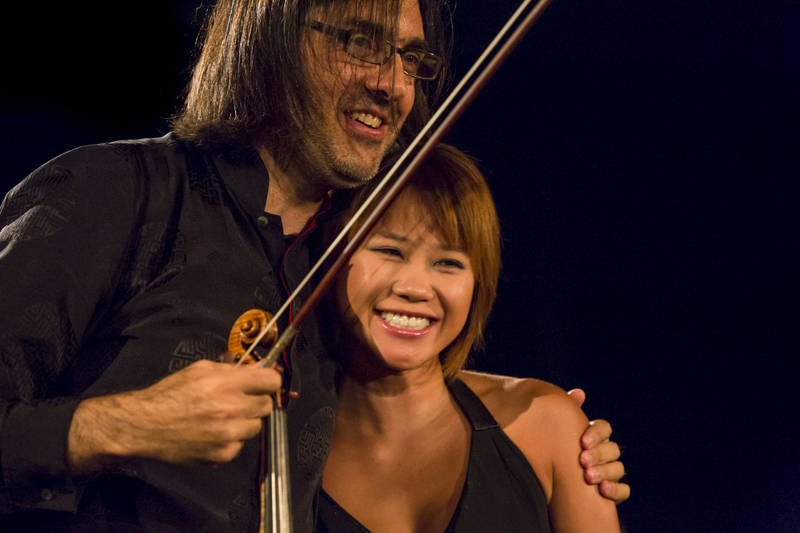 A promising concert featuring two of the Verbier Festival's most iconic artists performing chamber music works by Brahms together! Now praised on the whole classical music planet, the Greek violinist Leonidas Kavakos took the world by storm in 1985 when he became the youngest winner of the prestigious Sibelius Competition. Acclaimed for his phenomenal virtuosity and musicality, he here joins forces with the pianist Yuja Wang, an accomplished artist at only 26! This programme features three sonatas by Brahms. The first one, the "Regensonata", is written after the composer's Rain Song (Regenlied). The second one, the "Thuner-Sonata" is about the peaceful landscapes of the Swiss lake of Thun, and contrasts with the third and last sonata played here, the Sonata No. 3, characterized its by great, passionate and fiery themes.